but it is more like a manuscript paper. it is a blank sheet with no lines. I write down the material of the manga just read. 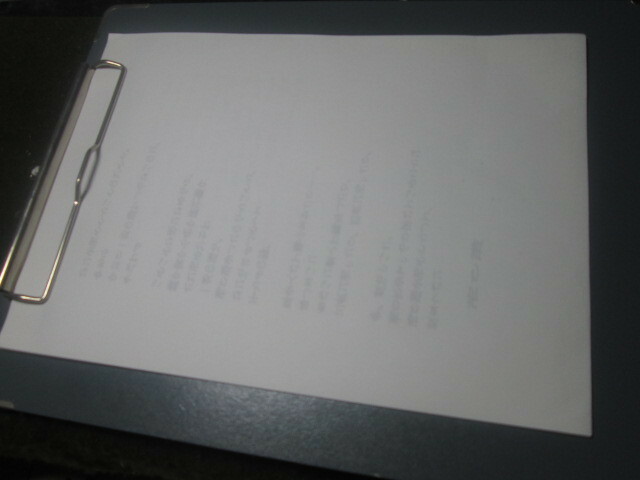 Then I write the contents that I can not remember. Then I felt that they were right. It seems that I have lived as I wrote here. I see. This is the writing of life. The contents written on this manuscript form become life. There is no life as an experience unless it is written here. In other words, it's like a biography that will survive. As a matter of fact, anyway.